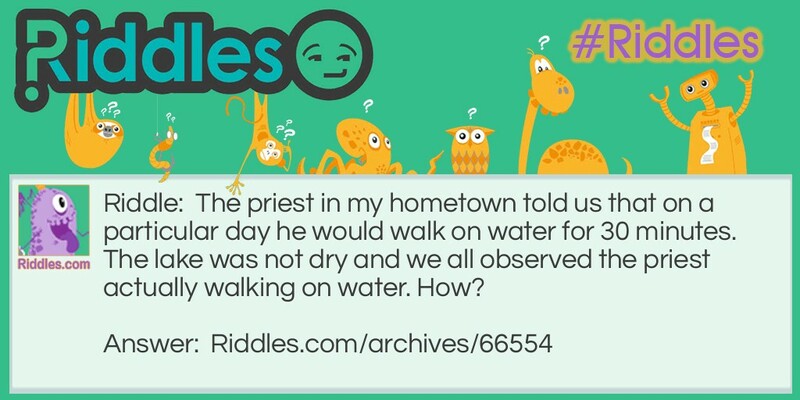 The priest in my hometown told us that on a particular day he would walk on water for 30 minutes. The lake was not dry and we all observed the priest actually walking on water. How? It was winter and the lake was frozen. The Priest Riddle Meme with riddle and answer page link.